Smartphones go missing all the time. I’m pretty sure my sister loses hers the second Tuesday and third Thursday of every month. We’ve already looked at what to do if you lose your smartphone so let’s take a different perspective: what to do if you find someone’s smartphone and want to return it to them. Editor’s Note: If you take an expensive smartphone home with you, and then get caught with it a few days later, you’re going to have a very hard time explaining to the police that you didn’t steal it, even if you had the very best of motives. And depending on where you live and where you found it, you might be guilty of theft by taking it home regardless. Most people realize pretty quickly that they’ve lost their phone, and the first thing they are going to do is backtrack to recent places they’ve been. If you find a phone in a coffeeshop, bar, library, or other public place, hand it in where you found it. You can still do some of the other steps in this article, but don’t try and Sherlock Holmes it back to the owner. They will be looking for it and, unless you know them, the odds of you finding them before they head back to the place they left their phone is basically zero. If you find a phone on public transport of some kind, things are a little trickier. Some services have a centralized lost and found that make it easy for people to get things back, while others have a cardboard box at each station that never sees the light of day. If you find an iPhone lying on the street, all bets are off. The chances are the owner won’t find it lying there—and certainly not before it gets stood on a dozen times—so pick it up and read on. Back when people lost their Nokia brickphone returning it was easy: you just went through their contacts and called “Mother”, “Home”, or whatever other likely looking contact was there. 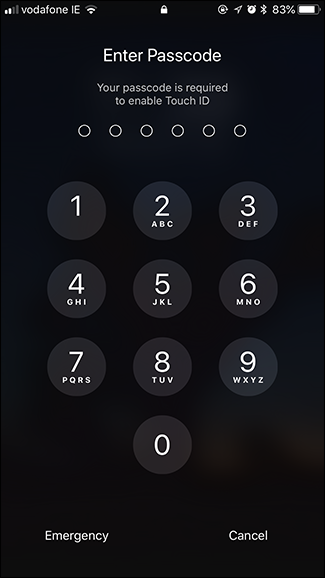 Now, with FaceID, TouchID, passcodes, and pattern locks, you can’t just scroll through someone’s contacts, but that doesn’t mean you might not be able to call their mom. 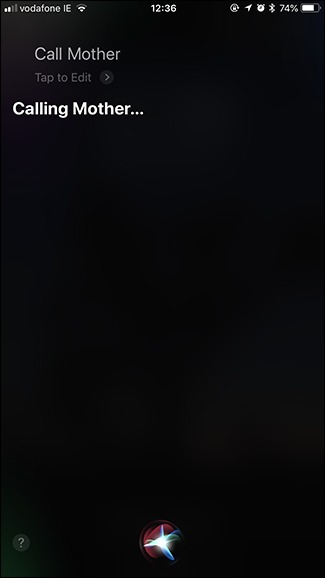 By default, Siri and Google Assistant are set up to work when a phone is locked. This means that you can still try and call someone’s mother even if you can’t get into their contacts. Pick up the phone and activate Siri or Google Assistant. In most cases, this will involve holding down the Home button although the iPhone X requires you to hold down the Power button. 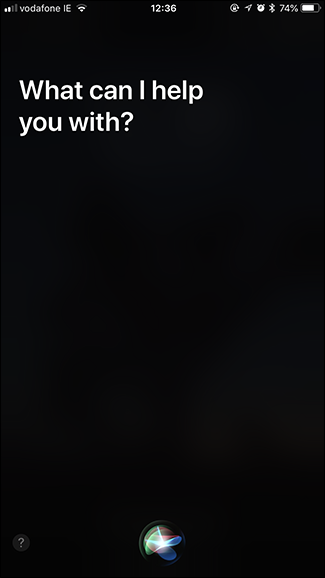 Once the voice assistant screen pops up, say “Call mom,” “Call home,” or whatever else you think might work. On an iPhone, there’s also one other option. 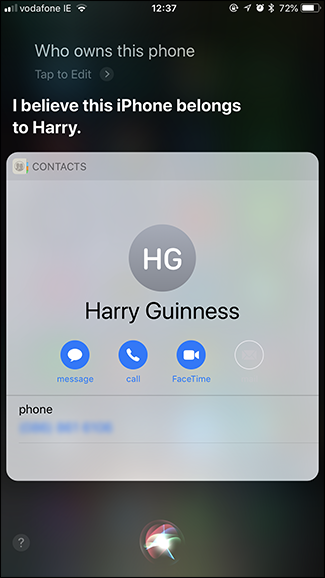 You ask Siri “Who owns this phone?”—and if there’s a contact associated with the owner, it will be displayed. 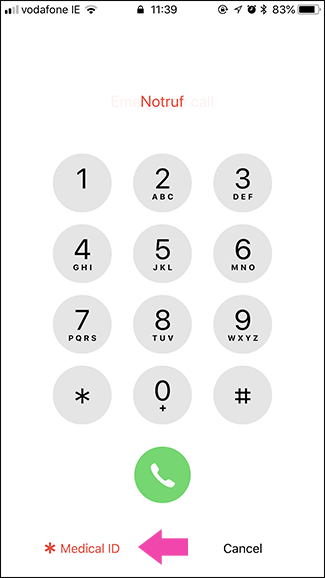 Another iPhone feature that works even when the device is locked is Medical ID. 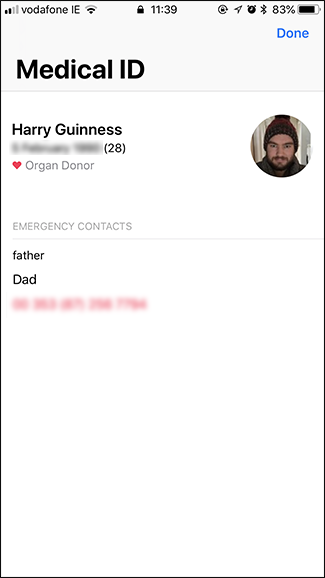 It’s designed so that you can add medical conditions, allergies, whether or not you’re an organ donor, and next of kin contact details for emergency responders. It’s that last point we’re interested in. Try to log in to the iPhone. When you fail, tap Emergency. If Medical ID is activated, you’ll see it written in the bottom left. If it’s not activated, you won’t. Tap “Medical ID” and you’ll see whatever details the owner has added. You can see I’m 28, an organ donor, and my dad’s contact details. Contact the owner’s Next of Kin and let them know you have found the iPhone. Find My iPhone and Find My Device are really great tools for finding lost phones. Not only do they show the last location of the device, but you can also use them to send a message to the phone. For them to work, however, the device must be turned on; this means you need to conserve battery life. The simplest way to do that is just plug it into a charger. That way, it can’t run out of juice. If your phone is the same make and model, or you’ve got an old cable lying around, you’re all good. If it uses a different charger—like, say a USB-C charger which aren’t yet super common—then things are a little trickier. If you can borrow or buy a cable cheaply, do so, but this then starts to turn into a lot of work. No one expects you to spend hours and your own money trying to return a phone. Instead, the best thing to do is leave the phone on for a few hours (as long as it’s got enough battery life) to give the person a chance to realize it’s gone and start using Find My iPhone or Find My Device. If they haven’t put the phone in lost mode, turn it off and try again a few hours later. Keep doing this until they put their phone in lost mode or it runs out of battery. After a day or two, if the person hasn’t contacted you through Find My iPhone or Find My Device, then it’s time to hand it over to the police. They’re generally obliged to try and return it to the owner and have access to resources—like being able to get cell providers to turn over personal details—that you don’t. Head to your nearest station and drop it off. 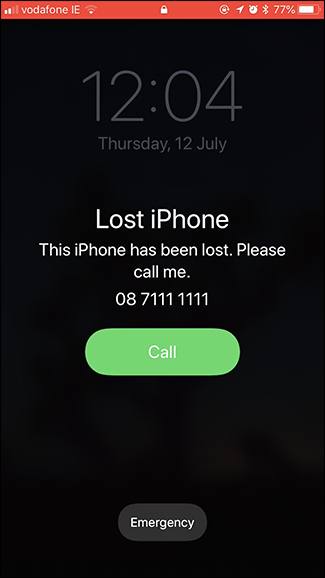 Anecdotally, most people I know who’ve lost their iPhone have had it returned to them. It’s easy with tools like Find My iPhone or Find My Device, and there’s just not that much value in locked smartphones any more.